Yes. CAMA offers a complimentary (no obligation) introductory program. CAMA offers open enrollment, which means you can enroll at any time. Call 303-347-2200 or contact us online to set up your first visit. Students wear a uniform they obtain here at CAMA, but you are welcome to wear appropriate athletic wear such as sweatpants and t-shirts for the introductory period. How do I join CAMA? After the introductory period, we can meet with you to further discuss the programs. If at that point you would like to continue, we can determine the program that best suits your needs. 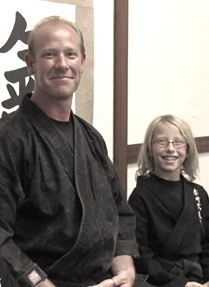 Students are welcome regardless of past martial arts experience. Our goal at CAMA is to create a community of like-minded individuals. Not every student with an interest in martial arts is a good fit for the school. Students looking for MMA or competition based programs would be better suited for other environments.